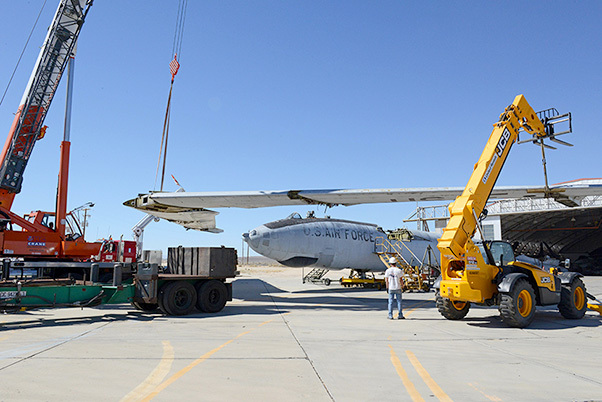 Two cranes and a forklift steadily moved the newly-acquired XB-47 wing into place to be attached to the fuselage Sept. 26. 2016. 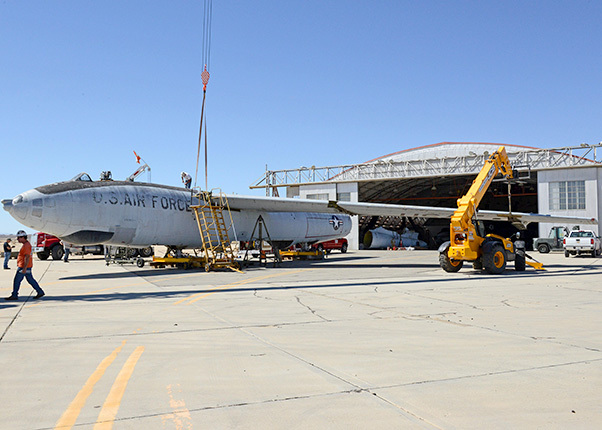 The Air Force Flight Test Museum at Edwards Air Force Base, Calif., acquired the historic test bomber last week after it spent the last six decades on static display at Chanute Air Force Base, Ill. The XB-47A Stratojet bomber, an icon of aerospace history, was the precursor to the U.S. Air Force’s strategic bomber aircraft family, to include the B-52 Stratofortress, B-1B Lancer and B-2 Spirit. 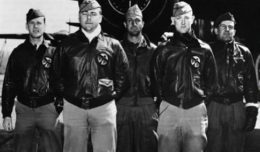 Its multi-engine and swept-wing profile were major innovations in post-World War II combat jet design and contributed to the development of modern commercial jet airliners. This XB-47 is the earliest survivor of the B-47 series and served as one of two experimental test airframes, which were both test flown at Edwards. However, the number one XB-47, tail # 46-065, was disassembled and scrapped by the Air Force in 1954, making the number two prototype, 46-066, the sole surviving XB-47. 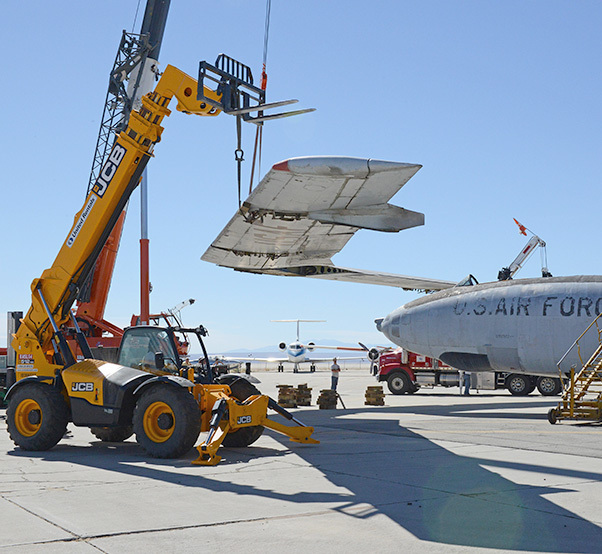 Once the aircraft is assembled and cleaned up, it will be painted and ready for display at the museum. Then the restoration team can go to work refurbishing the internal areas of the plane — like the cockpit and bomb bays — that will be seen by the public.